Before her father became president, Ivanka Trump received overwhelmingly positive coverage in the media as a successful business executive who combined career, marriage and motherhood. In 2014, Ivanka Trump even earned a spot on the prestigious Fortune’s “40 Under 40” list, which the magazine said was made up of “the most influential young people in business.” Another person on the list that year was Ben Rhodes, who was deputy national security adviser to President Obama at the time. [post_ads]Little did Ivanka Trump know in 2014 that three years later she’d be in the White House instead of Rhodes, serving as a senior adviser to President Trump. 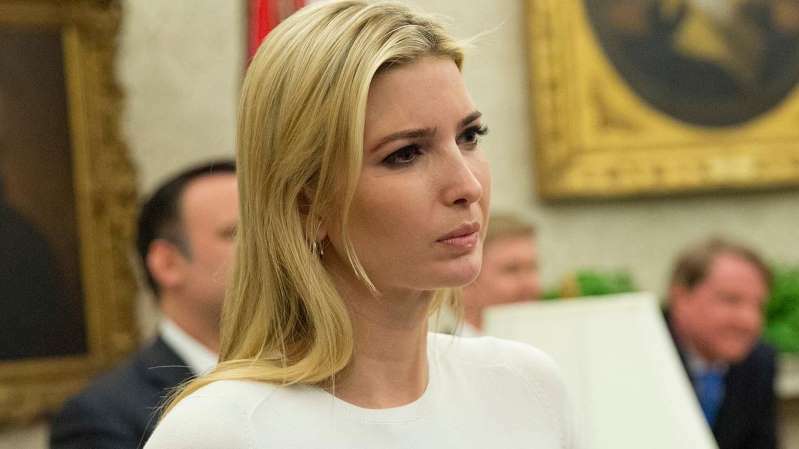 But unlike the glowing media coverage Rhodes received that portrayed him as a brilliant young presidential adviser, Ivanka gets quite different treatment in the media today. In fact, you would be hard-pressed to find much coverage of Ivanka Trump’s vast White House portfolio and accomplishments. Have you heard about Ivanka moving forward bipartisan legislation that had been stalled for over a decade? Or her collaboration with multiple world leaders in spearheading a new billion-dollar initiative for impoverished women? How about her work for unemployed military spouses or her key role in winning enactment of tax cuts? If none of this is ringing a bell, it should come as no surprise. That’s because the same publications that once praised her now impugn Ivanka, her father and her family. Women’s magazines that claim to be the vanguard of feminism undermine the very causes they tout by ignoring the progress Ivanka Trump has made for everyday Americans. Instead of ignoring the achievements of the president’s daughter, the same publications that lauded Ivanka then as a working woman ought to be praising her now as a fierce defender of working women worldwide. Ask yourself this: If the liberal media truly cared about feminism and working-class voters, why have you never heard the following? As a key player in the passage of the Tax Cuts and Jobs Act, Ivanka helped to shepherd through the president’s top legislative achievement, which put approximately $2,000 in the pockets of the average American family. Her months of lobbying lawmakers resulted in major victories like expanding of the child tax credit from $1,000 to $2,000 and doubling the standard family deduction. Ivanka Trump turned next to helping America’s best: our military families. Recognizing that military spouses face high unemployment rates, Ivanka convened experts for over a year, resulting in an executive order that prioritized military spouse hiring across the federal government. Beyond these meaningful gains for working families, Ivanka Trump remains focused on an ambitious paid family leave plan. In fact, just this week, Sen. Marco Rubio, R-Fla., introduced a paid family leave plan, one that Ivanka Trump said she looked forward to reviewing. In addition to providing support for hardworking families, the president’s daughter has worked on revamping the American workforce. In the midst of a roaring economy with wages growing at the fastest pace in a decade and unemployment at an 18-year low, Ivanka recognizes that it’s time to invest in American workers and equip our workforce with the skills to thrive in a modern economy. Her efforts prompted a presidential memorandum that allocated $200 million annually to prioritize STEM (science, technology, engineering and math) education efforts and a $300 million private sector investment. Ivanka Trump was also a key proponent in reauthorizing the Perkins Career and Technical Education Act, a $1.2 billion federal grant program for career and technical education. The program was “noncontroversial” and “bipartisan,” garnering the support of 350 organizations, but had not been reauthorized for 12 years because of policy disagreements. How did a stalled bill get past more than a decade of gridlock? “Ivanka Trump began to call and have one-on-one meeting with lawmakers,” according to Bloomberg News. After reaching preliminary agreement with a group of bipartisan lawmakers, secretarial authority became a sticking point – one that Ivanka would resolve. In April, Ivanka hosted a dinner with senators from both sides of the aisle and key CEOs to resolve the issue of secretarial authority. “That really signaled a shift in the direction we were going, of the critical importance of getting this done and getting this done quickly,” one attendee told Bloomberg. In addition to legislative workforce development efforts, Ivanka designed the president’s “Pledge to America’s Workers” – a bold initiative to train millions of American workers. Initially intended to reach 500,000 workers, the pledge ballooned into eight times that size under Ivanka’s leadership. “Ivanka has worked with CEOs and leaders to get companies and associations across the United States to pledge to train and retrain over 4 million American students and workers,” President Trump noted at a workforce development event at Tampa Bay Technical High School. “Wow,” an audience member replied. “Wow is right,” the president said. Meanwhile, on the international stage, Ivanka Trump has been recognized and applauded by world leaders. Her meeting with German Chancellor Angela Merkel at the White House led to Merkel extending a direct invitation for the president’s daughter to participate in the W20 Summit in Berlin.